The Church of Eleven22 Kids ministry partners with parents to help children discover and deepen a relationship with Jesus. If you are a first time guest with us, we want you to feel at home. Look for the "First Time?" check-in station at all campuses if you are new here. We'll explain everything from following the traffic pattern at check-in to badge matching at pick-up; we are here to keep your children safe and make you comfortable. Eleven22 Kids have their own age-appropriate worship experiences and gospel-centered disciple groups during all of our weekly services. Our staff and serve staff provide consistent care, create an environment where kids can glorify God and partner with parents in discipleship. Children ages 0-5th grade engage in large group worship and in a Disciple Group to experience God in a developmentally appropriate way. Each week, the children study God's Word through The Gospel Project curriculum. 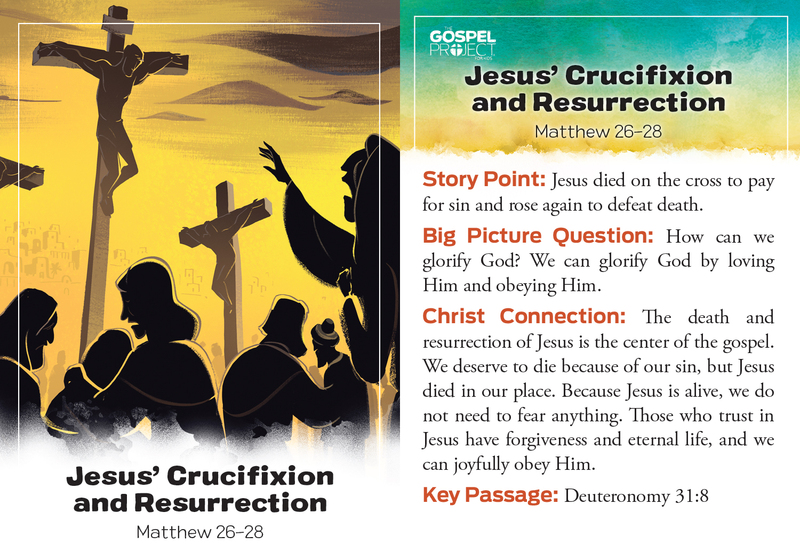 Each lesson has a Christ Connection, which points the lesson to the Good News of Jesus Christ. We encourage you each week to review the current Kid's curriculum and listen to the Family Devos so together you can discover and deepen your relationship with Jesus Christ as a family. God has blessed us with the facilities and Serve Staff to disciple kids with special needs! We would love to have your child join us during the 9:00am or 11:22am services each week at every campus. If you have a child with special needs, we would love for you to fill out the form below so we have information to more adequately minister to your child. Has your child shown interest in getting baptized? There are opportunities for your child to be baptized throughout the year. The safety and security of children is our first priority. We have established systems to protect all children while in our care. Interested in dedicating your child and learning what it really means for parents and the church to partner in raising up your child in the gospel? Join us for dinner and the next class April 27 from 5:00-7:00pm at the San Pablo campus only. In-service dedications will be May 2 & 5. Help disciple kids for the Kingdom. Sign up to serve at your campus. Has your child shown interest in getting baptized? There are opportunities for your child to be baptized throughout the year. For more information, fill out this form.